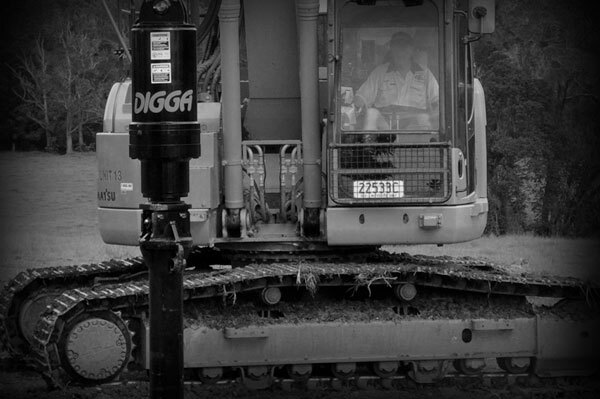 Digga - Designing & manufacturing auger drives in Australia for over 30 years with innovation as key to their success. The pioneer of pendulum drilling in Australia has released the next generation of auger drives. Digga’s range of two speed drives are set to revolutionise the drilling industry. Not since reduction gearboxes replaced chain driven auger drives in the mid 80’s has there been such an evolution in design and performance. “Imagine having the choice between high speed or high torque” said Suzie Wright, Digga’s CEO “Essentially it’s like owning two drives in one” she continued. Two speed drives allow the operator to switch between two options, low speed (high torque) and high speed (low torque). When drilling with a large auger or in hard ground, the high torque option will give the maximum torque for optimum drilling performance while switching to high speed is ideal for better spin off speed for clearing the auger. When drilling with smaller diameter augers or in softer ground where drilling the hole faster is more important than power, you can simply switch to high speed where torque will be ample for drilling performance. Digga have been designing and manufacturing auger drives in Australia for over 30 years with innovation the key to their success. “Our team of engineers are always looking for ways to improve the operator experience and the performance of our products.” said Suzie. It is this unreserved dedication to delivering cutting edge products and continued commitment to Australian manufacturing which stands Digga apart from others. “Keeping jobs in Australia is important to me, supporting the number of families we do gives me great satisfaction” added Suzie. Many operators purchase multiple drives to suit different drilling applications while other operators simply use the one drive for all their jobs – putting up with stalling or slow drilling speeds depending on the ground conditions. Two speed drives eliminate the need and expense of purchasing multiple drive units for the same machine allowing operators to take on more diversified jobs. Drill 1500mm diameter holes one day and punch out a multitude of small holes the next – all with the same drive. Two speed drives are available for machines from 2 to 30 tonnes; including skid steer loaders, excavators, backhoes and telehandlers. The new 2 speed range is fitted with a quality Eaton motor and Digga designed hydraulic valves featuring a pressure relief valve which is fitted as standard (to protect the motor from excessive pressure), all assembled to a high performance Australian made Digga gearbox. If you’re in the market for an auger drive and want the latest technology, a Digga 2 speed drive is the solution. Protected by a 5 year gearbox and 2 year motor warranty, a 2 speed drive costs the same to run and maintain as the old technology. For further information on 2 speed drives, call Digga on 1300 2 DIGGA.